As the saying goes, it is better to give than to receive. There is no better time to teach your children this important lesson than during the holiday season. UNICEF has created Gifts that Give Back, a lineup of holiday items that will benefit millions of children around the world. UNICEF’s Gifts that Give Back include UNICEF Inspired Gifts like medical supplies and nutritional supplements for malnourished children, the UNICEF card and gift collection, and collaborations with some of the world’s top brands such as Gucci, H&M and Delta Airlines. Each purchase support UNICEF’s efforts in lowering the number of preventable deaths in children each year. IKEA “Soft Toys” -- Continuing its commitment to the idea that all children have the right to an education, for each soft toy purchased in IKEA stores between November 1st and December 24th, IKEA will make a donation of 1 euro (approximately $1.39) to help support UNICEF and Save the Children's education projects globally. This is the 7th consecutive year of the campaign, which has raised over $31 million to support 8 million children in 40 countries worldwide. 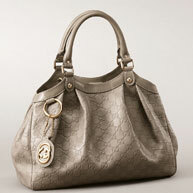 Gucci Sukey bag – In 2010, Gucci launched the third annual "Gucci for UNICEF" campaign. The special edition "Gucci for UNICEF" Sukey bag, designed by Gucci Creative Director Frida Giannini in grey "La Pelle Guccissima" leather, is being sold in Gucci stores in over 20 countries worldwide and at gucci.com from April 15, 2010 until February 28, 2011. Gucci will donate 25% of the retail price from all sales of the "Gucci for UNICEF" bag to support UNICEF. Gucci U-Play Timepieces -- Gucci Timepieces announced a donation of $70,000 in honor of a new special model of the U-Play watch, also designed by Giannini. Since the Gucci partnership with UNICEF began in 2005, Gucci has committed over USD $9 million to UNICEF. American Airlines -- Through January 15, 2011, American Airlines AAvantage® members can earn two AAdvantage miles (maximum award of 2,000 miles per AAdvantage member) for every $1 donated at www.unicefusa.org/aa to support UNICEF’s lifesaving programs. 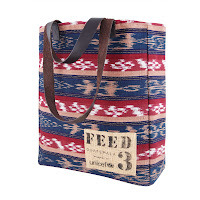 FEED Guatemala Bags/Lord & Taylor -- FEED Guatemala bags celebrate traditional crafts of Guatemala and sales help UNICEF combat malnutrition in the country. For every FEED 1 Guatemala pouch and FEED 3 Guatemala bag sold at Lord & Taylor stores in the U.S. and online, FEED will donate $3.50 or $10.50 respectively to help support UNICEF's nutrition for children under the age of five in Guatemala. 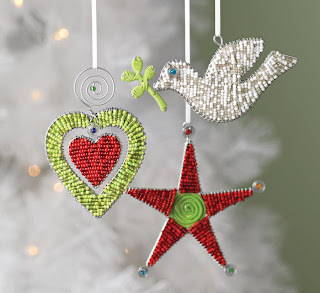 H&M – Throughout the Holiday Season, H&M customers in stores in over 30 countries around the world will be invited to make a donation at the register to support UNICEF through “Give a child the gift of clean water”. Based on the amount of the donation made, H&M customers will receive either one or a pack of 6 specially designed H&M holiday gift box stickers. Delta Air Lines – Delta SkyMiles® members can put their unused frequent flyer miles to good use by donating them to the U.S. Fund for UNICEF. This is a great info!